Do You Need Waste Removed? I Know a Truck. . . 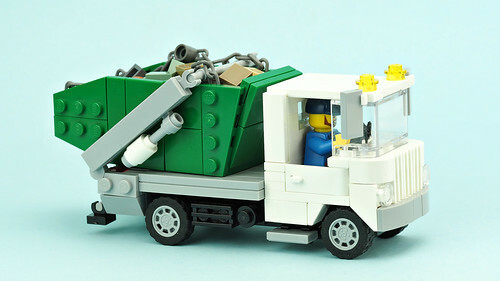 I think some creations that deserve more recognition then they receive are well-built city vehicles for minifigs, such as this garbage truck by De-marco. With some simple experimentation, and even by using basic elements, you can create excellently scaled (and detailed, too) vehicles for your city layouts! 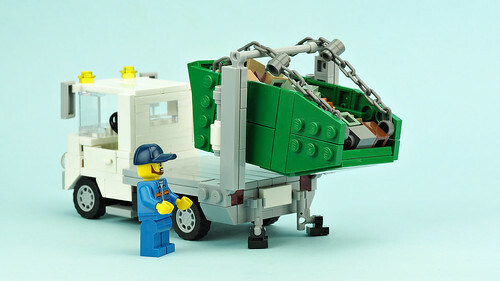 If you're a city builder, you need to check out this creative truck (it even has a working feature! ).